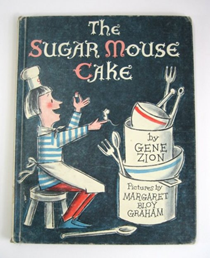 A beloved classic, The Sugar Mouse Cake is written by Gene Zion and illustrated by Margaret Bloy Graham. With the help of his pet mouse, Tina, a poor pastry chef bakes a cake that is judged the best in the kingdom and thus makes him the King’s Chief Pastry Cook. Ages: Suitable for ages 4 and up.